It has been a dream since childhood to go to the Super Bowl. So, this past weekend in Atlanta was a milestone event for me. I awoke before dawn the day of the flight, as I was very excited. 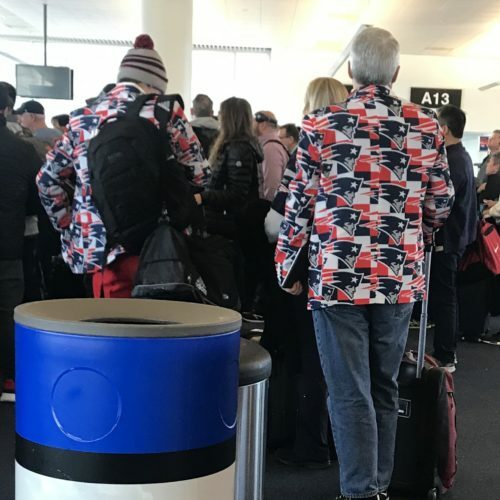 Most people at the gate wore their Patriots gear, and one family went all-out. 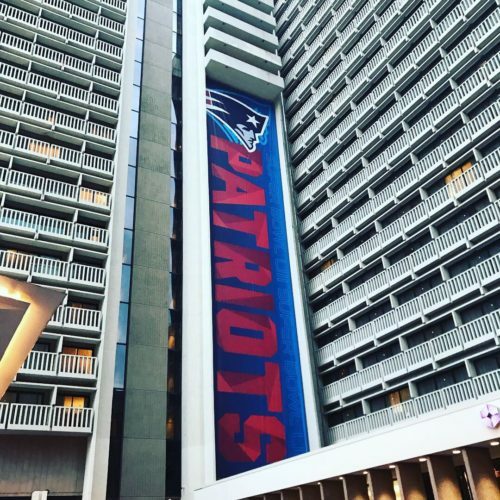 I’ve never been to a Patriots game, as it is tough to carve out 8+ hours away from home on Sundays (a day for family and Church for me). 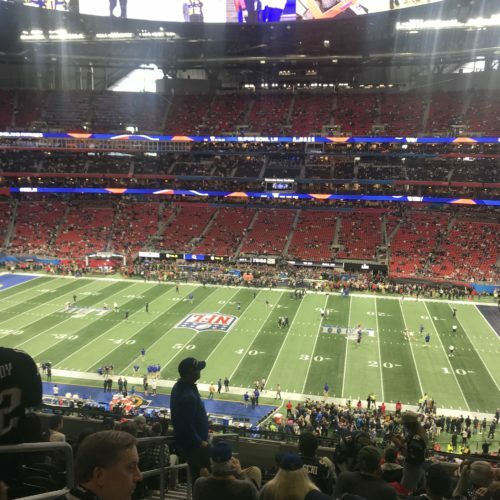 I didn’t know what to expect for the Super Bowl but really enjoyed it. It was an experience and not just a game. It was a sea of humanity wherever you went on Saturday. There were lines for everything, including lines to get into lines. The city looked amazing. It took us a while to find a lunch spot without a massive line. We did a lot of walking, and I enjoyed just soaking in the ambience. Atlantans were amazingly friendly and warm. From the servers to the airport people who cheered for us as we disembarked to the volunteers on the streets, everyone made a point to smile and help us out. It was impressive. To save money, Eric and I stayed at a hotel 30 minutes out of the city, at a small town. We grabbed dinner at a local spot, which took a while. But, the BBQ ribs were worth it! On Sunday morning, I got up early to work out and attend Mass at the local parish. 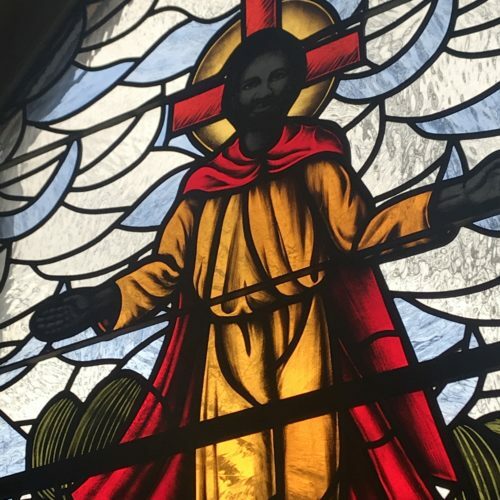 The Church congregation was nearly all African-American, and the priest did something I’ve never seen done. He asked visitors to stand up to introduce themselves. He also asked everyone who was about to celebrate a birthday to stand up so that everyone else could sing “Happy Birthday” to them. 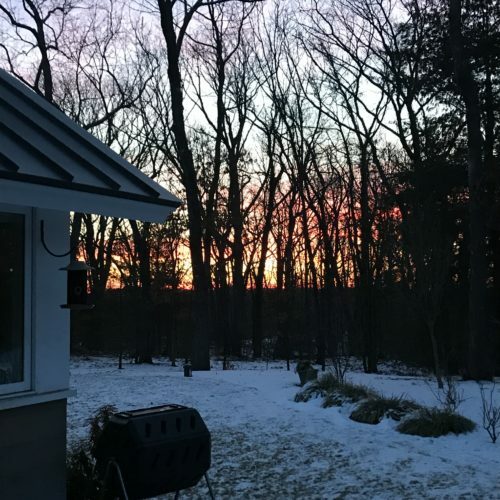 It was a very warm and inclusive environment, and I felt at-home right away. 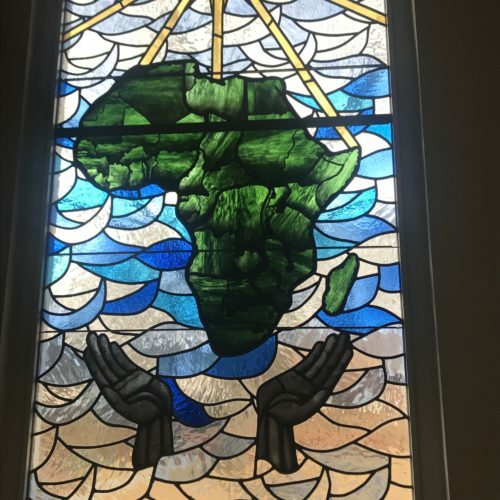 I was very moved when services started with a prayer for Black History Month, during which the speaker asked everyone to pray for all those who died for the liberation of slaves. I also liked the stained glass artwork at the Church. As I mentioned to a friend just last week, I’ve always wondered what Jesus really looked like. He most likely was dark-skinned, and not the fair-haired and pale figure you see portrayed in Western countries. Soon, it was back to the hotel to change and meet up with Eric. He and I headed into Atlanta and parked and just started walking around. It was like one huge and very happy street festival, with some folks having beer for brunch. There was a great deal of energy everywhere. The number of people in the area grew with each passing hour. Atlanta was like a Disneyland for adults, with people and lines everywhere. We didn’t have an agenda and just walked around downtown. We ran into pop-up TV studios for ESPN and CNN (and, very small glimpses of us may have shown up on TV). I was struck by the relative paucity of Rams fans. 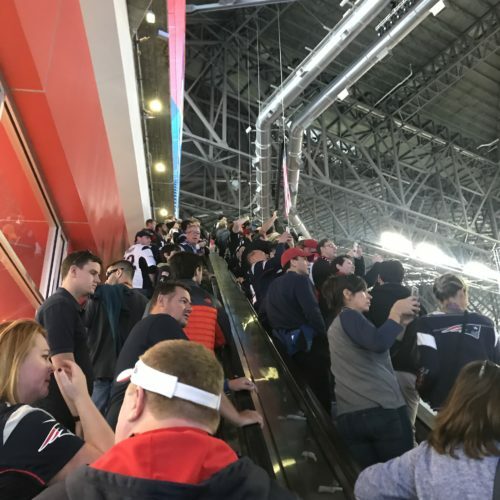 Nearly everywhere I looked, it was people in Patriots jerseys. 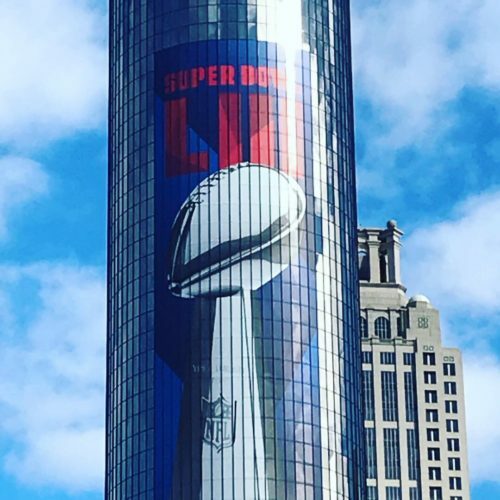 At certain parts over two days on the packed streets and sidewalks of Atlanta, there was a lot of potential for sensory overload. But, for some reason, I was very relaxed. I was just glad to be there, and when the traffic, the crowds, the noise, the lines and the drunk people got a bit much, I made a decision to choose peace (a David Foster Wallace talk on that, This Is Water, is here). Fast-forward to the game. We arrived early at the stadium, which was both massive and stunningly beautiful. Eric scored for us some great seats. 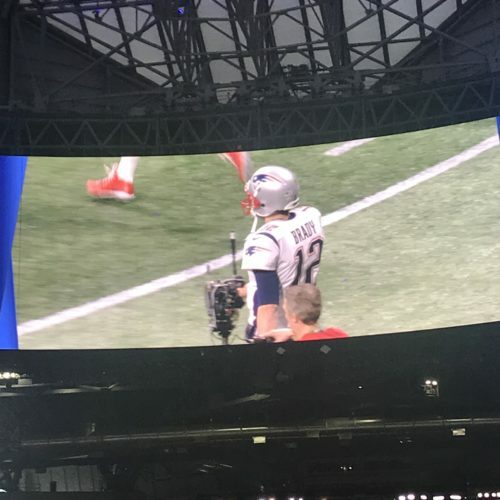 The crowd exploded when Tom Brady came out for pre-game warm-ups. And, soon, it was kick-off time, and 70,000 fans started yelling and cheering. Many TV viewers didn’t enjoy the game, but I was riveted. It was a classic defensive battle, and with only a three-point lead for most of the game, it was a high-tension affair. The hours whipped by, the outcome was what I wanted, and it was such a joy to see the confetti fall. The next day, we got up early to exercise and arrive early at the airport. The line for security was a 2.5-hr. wait, but, thankfully, Eric and I qualify for TSA Pre-Check, which took only 30 minutes. 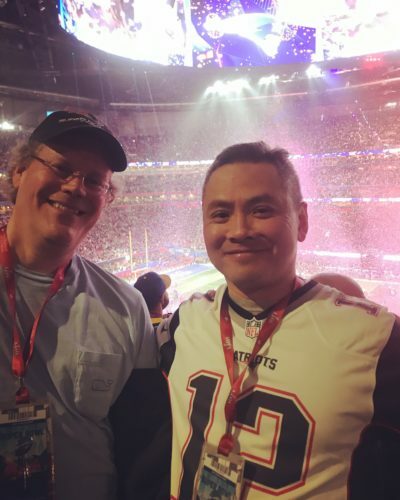 On the flight home, I took a nap and was very grateful for the chance to go to the Super Bowl. I turned 50 last year, and, this year seemed like the right year to go. 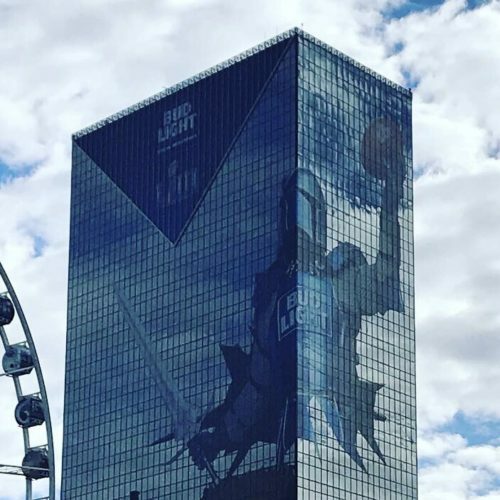 A wonderful weekend in Atlanta….